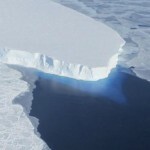 Back in 2015 British researchers have reinforced recent evidence that melting in the Antarctic caused by the warming of the Southern Ocean could ultimately lead to global sea levels rising by around three meters. 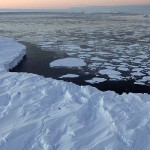 Their findings were in line with the results of a study that said six more decades of ocean warming could destabilize the ice beside the Amundsen Sea, starting a cascade of ice loss that would continue for centuries. That study, which used computer simulations, was the work of scientists from the Potsdam Institute for Climate Impact Research (PIK) in Germany. But the UK scientists used a much more direct method of assessing the landscape to establish how the West Antarctic ice sheet might respond to increasing global temperatures. They just examined the mountain tops that stick up above the ice. 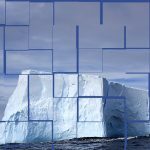 In what they say is the first study of its kind, the researchers were able to work out how the levels of ice covering the land have changed over hundreds of thousands of years by examining the peaks protruding through the ice in the Ellsworth Mountains, on Antarctica’s Atlantic flank. The team from the University of Edinburgh, Northumbria University and the Scottish Universities Environmental Research Center assessed the changes on slopes at various heights on the mountainside, which showed the levels previously reached by the ice sheet. They also plotted the distribution of boulders on the mountains deposited by melting glaciers, and used chemical technology − also known as exposure dating − to show how long rocks had been exposed to the atmosphere and how old they were. The scientists report in Nature Communications that their results show how, during previous warm periods, a substantial amount of ice would have been lost from the West Antarctic ice sheet by ocean melting. But it would not have melted entirely, which they say suggests that ice would have been lost from areas below sea level, but not on upland areas. 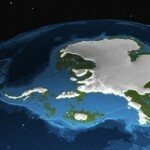 The study shows that parts of the West Antarctic ice sheet have existed continuously for at least 1.4 million years. John Woodward, professor of physical geography at Northumbria University, is one of the leaders of the study, which was supported by the UK’s Natural Environment Research Council and the British Antarctic Survey. If the West Antarctic ice sheet were to melt altogether – something that is not likely to happen this century – the world’s sea levels would rise by 4.8 meters. That would have massive consequences for coastal communities worldwide. The melting of the West Antarctic glaciers accelerated threefold over the 21 years to 2014. 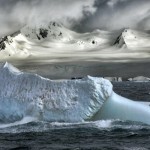 What happens to the ice sheets of the Antarctic continent could cause even more profound changes to the Earth. The East Antarctic sheet had for decades been thought to be more stable than its western neighbor, but that is now less certain. 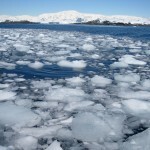 Previously in 2014, two scientists from PIK reported that they had identified how a relatively small loss of ice there could ultimately trigger a discharge of ice into the ocean that would result in unstoppable sea-level rise for thousands of years ahead. Another study, published more recently, predicted a doubling of the rate at which the ice shelves across Antarctica will melt by 2050.